What did you do to get this issue? 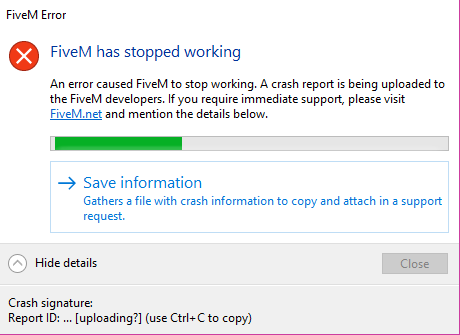 FiveM Storymode didn’t work so I tried normal FiveM, F8 and then “Storymode” and it works fine except for that it usually crashes when I spawn in a vehicle using Lambda menu. Please include dump files (which can be created by hitting the “Save information” button) and the citizen fx log from your fivem application data.